We ran this between 1976 and 1985. 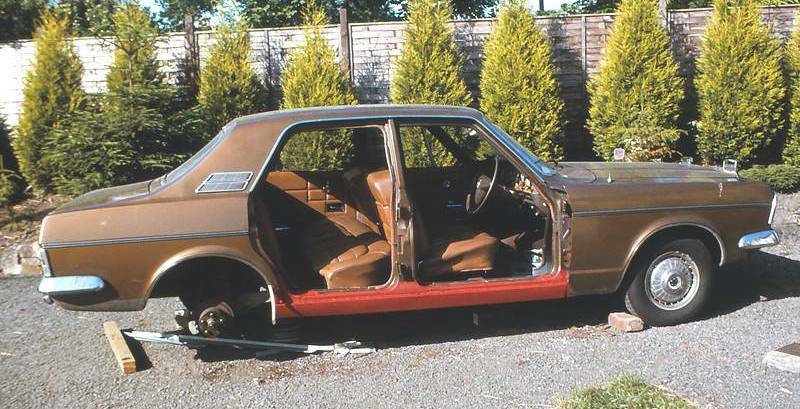 I bought it as a non-runner - the engine had been left with plain water and had frozen, blowing out most of the core plugs including the one behind the flywheel, so it was quite a big job to put right but luckily there was no other damage. I also repaired all the minor rust and refurbished the whole car - the photos above were taken while I was doing the work I liked the Zodiac despite its reputation as "The Dagenham Dustbin". The body roll was improved by fitting heavy duty dampers and new road springs and struts, however you still had to negotiate bends about 50 yards before you reached them! Other traffic tended to keep well clear of an older vehicle this size. 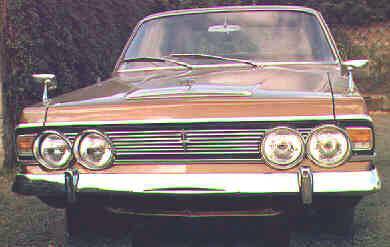 The Zodiac range was the last all-British Ford and the largest. After about 9 years it started to get a bit rusty around its suspension mounts and every MOT meant more work so I traded it in for a very small part of the '82 Cortina. All iron V6. 2,994cc. OHV. Essex. Front independent suspension by Mcpherson Struts. Rear independent suspension by cast alloy semi trailing arms and coil springs.